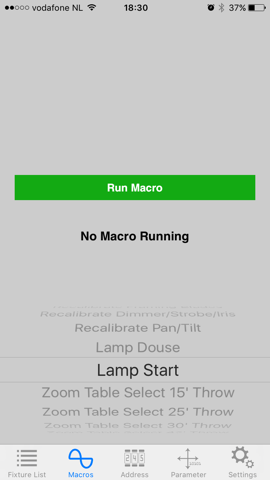 FixtureTester – THE app to test you rig! 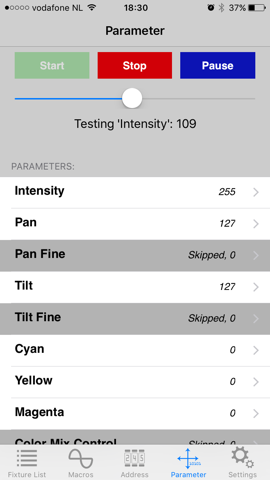 THE app to test your rig! The Fixture List is the start of your testing. 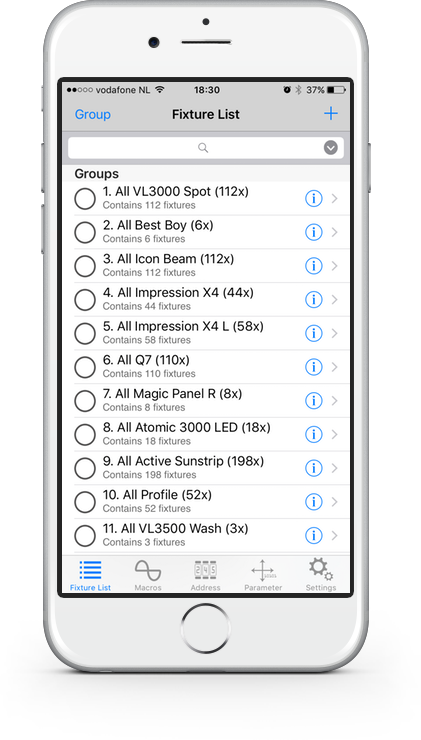 Here you select the fixtures you want to test. There are 1200+ fixtures available from various manufacturers. 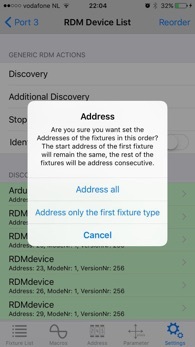 Can't you find your fixture in the library? Fill in the contact form below and we will create it for you! 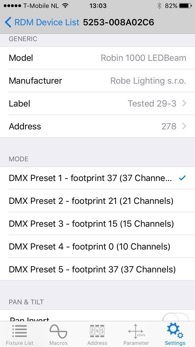 When using the dmXLAN nodes from ELC lighting, FixtureTester turns in to a RDM controller! 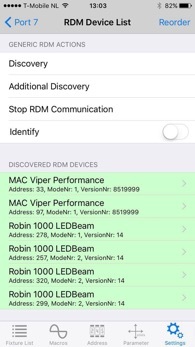 All RDM enabled fixtures are discoverable. 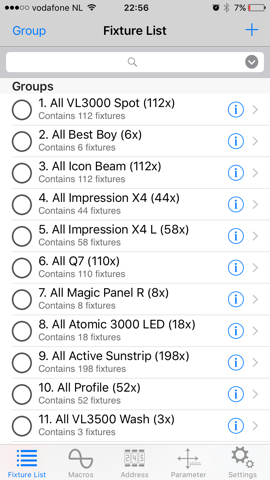 Drag the fixtures into the desired order to address them all at once! 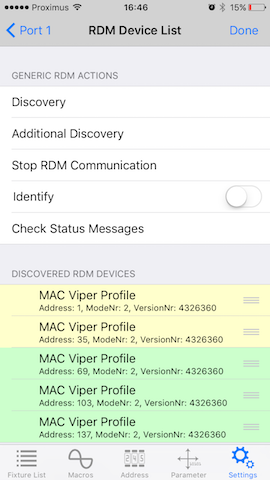 RDM can save you a lot of sky-worker time! 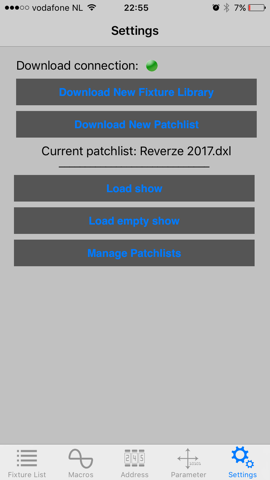 You don't need to access the physical fixture anymore! In the Fixture List tab, select the fixtures you want to test. 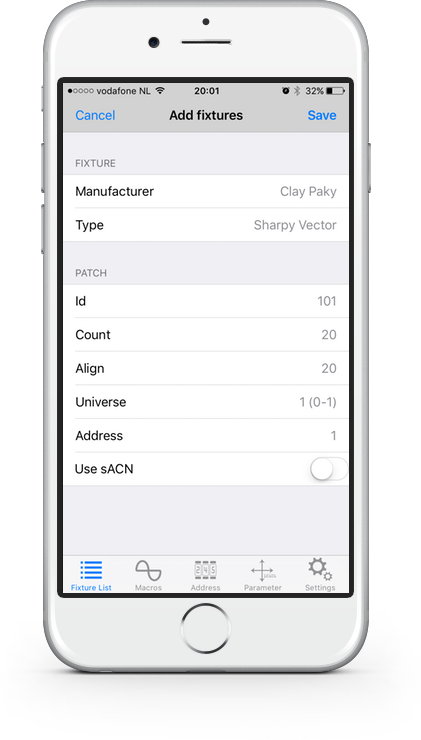 As soon as you select the Macros, Address or Parameter tab, FixtureTester will start sending the sACN or Art-Net universes to which the selected fixtures are patched to. 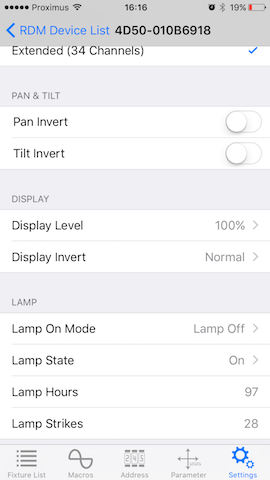 Your iOS device should be connected to your WiFi Access Point, which is linked to your Ethernet Node. 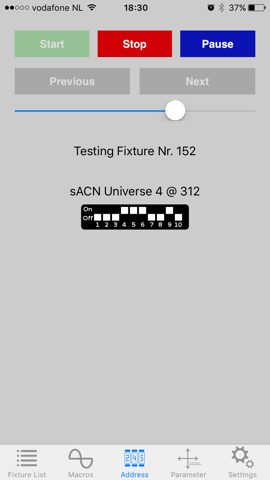 Please make sure you see the “WiFi reception bars” on top of the screen to be sure your connection is ok. FixtureTester directly sends sACN or Art-Net. There is no lighting desk needed. 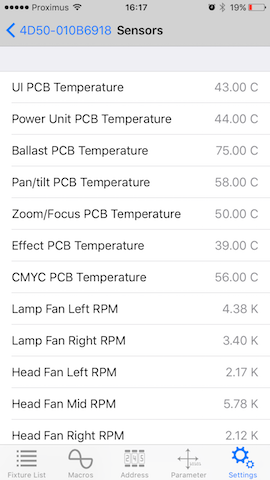 When sending sACN, priority value 150 is used, so it will override the lighting desk when using the default priority of 100. This is very useful when you want to test the floor package while the desk operator is already focussing the lights in the trusses! 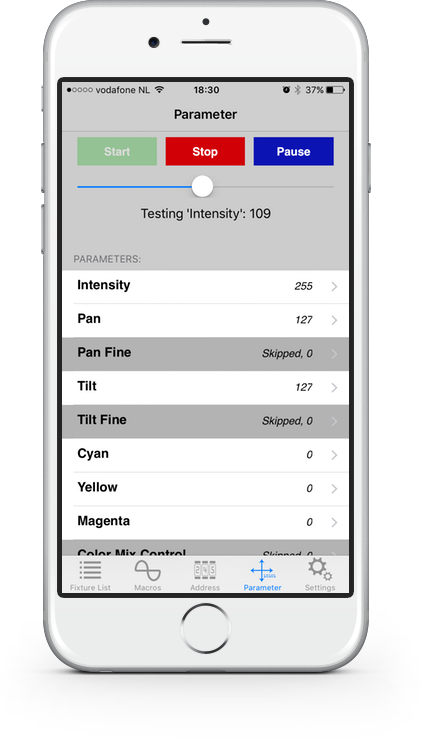 Download your copy of FixtureTester in the iOS App Store!